It’s been a roller coaster of a week. In a matter of days, we’ve gone from celebrating the Affordable Care Act’s survival to fearing its imminent demise—and the loss of insurance for thirty-two million people over the next decade, not to mention the slashing of women’s healthcare provisions and of covered care and services for individuals with disabilities. Call your senators now and let them know how you feel about this inhumane move. The first action step below provides contact information as well as talking points. In the midst of our distress over the state of healthcare in our country, the President decided to actively attack and dehumanize yet another group of citizens—those who are transgender. This morning he took to his favorite platform, Twitter, to announce, “After consultation with my Generals and military experts, please be advised that the United States Government will not accept or allow Transgender individuals to serve in any capacity in the U.S. Military. Our military must be focused on decisive and overwhelming victory and cannot be burdened with the tremendous medical costs and disruption that transgender in the military would entail.” LGBTQ activists and organizations, the American Civil Liberties Union (ACLU), and members of Congress—both Democrats and Republicans—swiftly spoke out against the president’s proclamation. Meanwhile, GQ pointed out that the “tremendous medical costs” that Trump pointed to as an excuse for this hateful new policy are roughly equal to four of Trump’s jaunts to Mar a Lago—that’s right, four. We cannot allow any of our citizens—especially those who are willing to risk their lives in order to protect our country—to be stripped of their rights and their humanity. We must speak out and fight back. Use this tool from Indivisible to contact constituents in West Virginia and Nevada, make sure they know why we need to save the ACA, and ask them to contact their Senators. Contact your senators and ask them to vote NO on votes to repeal the ACA. [IMPORTANT] Describe how the repeal of the ACA would personally impact you, your friends, or your family. [Democrat senators] Repeal of the ACA or a replacement anything like the ones we’ve seen is a potential death sentence for sick and vulnerable Americans. Please use every tactic available to defeat the bill. [Republican senators] It is absurd to repeal or enact a replacement that impacts the lives of all Americans and affects a sixth of our economy without hearings. [Republican senators] Repeal alone or with a replacement anything like the ones we’ve seen is a tax cut for the wealthy and a potential death sentence for sick and vulnerable Americans. It is wrong for America and its values. 3) Report discrimination, harassment, and/or mistreatment based on sexual orientation, gender identity, or HIV status to the American Civil Liberties Union (ACLU). 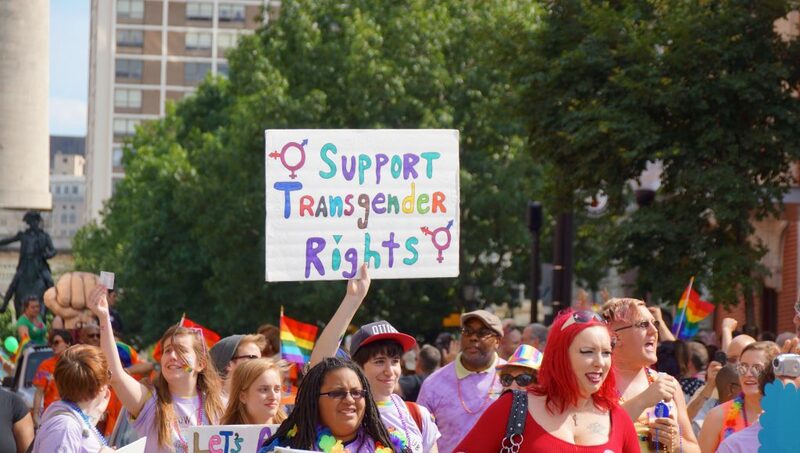 4) Sign this petition and join in the ACLU’s fight to protect trans rights and show up for trans youth.